Clearance Sale: **READY TO SHIP** Minimalist Necklace. Coral. 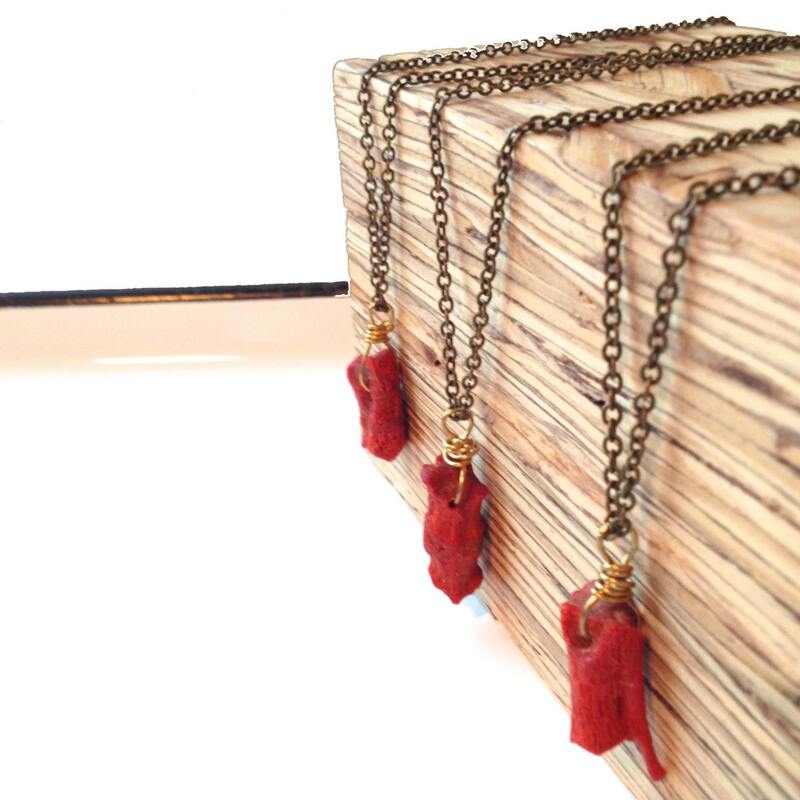 A delicate minimalist necklace, finished with a rough-cut, vintage branch coral. 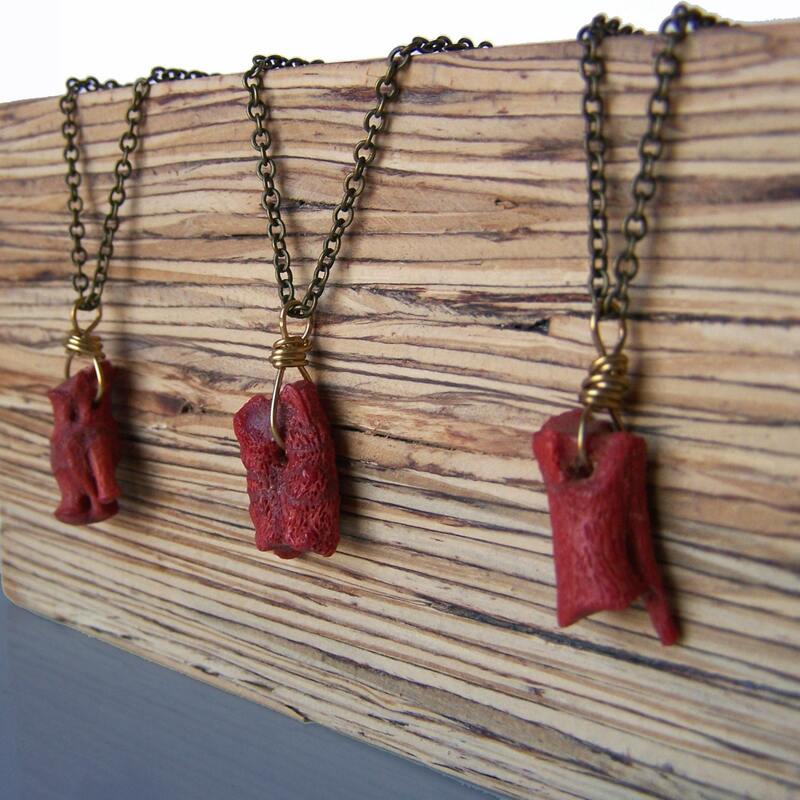 This necklace is a lovely layering piece.The stone floats freely on an antique brass chain. Measures 18" and is finished with a lobster clasp. Necklace will arrive wrapped and ready for gift giving.